The Jewish Cardinal is a French feature film from 2012 about Jean-Marie Lustiger, born Aron Lustiger. His turbulent life was everything but ordinary - Aaron Lustiger was the son of immigrants, Polish Jews, who came to France. 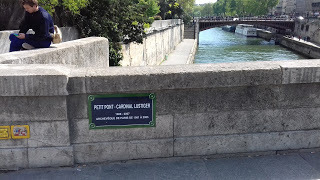 And where he became the charismatic archbishop of Paris. This biographical film emphasizes its strategic role between Christianity and Judaism. Born in Paris in 1926, he converted to Catholicism in 1940, in occupied France. He studied at the Lycée Montaigne in Paris, then in Orléans and later at the Sorbonne. 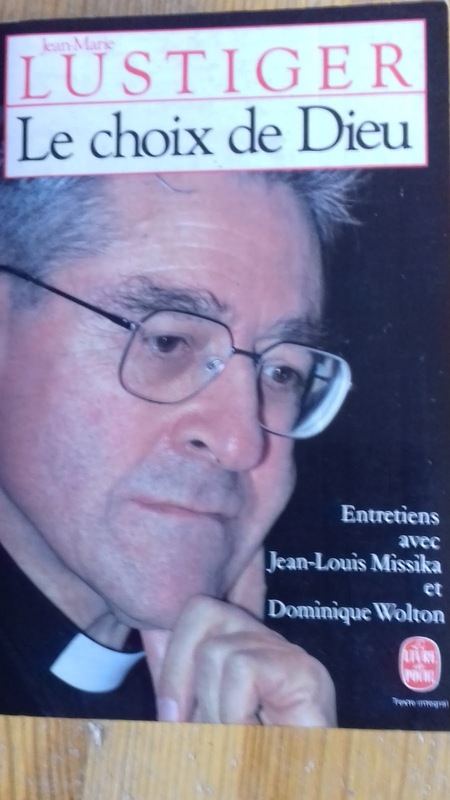 Jean-Marie Lustiger was elected to the Académie Française, in 1996 he was introduced to the famous hall sous la Coupole. He considered himself the son of the Old and New Testaments. There was no surprise when his cousin Arno Lustiger, a German historian of Polish descent and survivor of the Holocaust, spoke Caddish, the Jewish prayer, at the cardinal's tomb. Jean-Marie Lustiger died in August 2007. President Nicolas Sarkozy interrupted his holiday in the United States to attend his funeral. A French cardinal born in a Jewish family from Będzin in Poland. One of the most important clergy of our time. 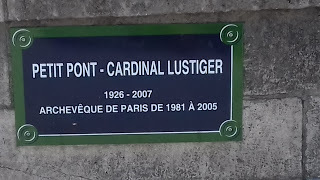 His appointment as archbishop of Paris in 1981 was an event. The International Herald Tribune dedicated to it four columns on the first page. The decision of Pope John Paul II was seen as a provocation. Just like himself. "I am a cardinal, a Jew, a son of immigrants" - he used to say about himself. The "Jewish Cardinal" and the Polish Pope were close friends. Cardinal Lustiger was regarded as a confidant of John Paul II and had a great influence on what the Pope did for the Christian-Jewish reconciliation. He was neither a traditionalist nor a liberal. He was able to introduce innovative pastoral solutions, but at the same time he was e.g. decisively opposed to abortion. It was not uncommon for the conservatives to accuse him of progressiveness, and for the liberals – of conservatism. He was controversial also because of his roots. Some Jews accused him of "betraying Judaism," and some Catholics - "Judaizing Christianity." The Cathedral of Notre Dame in Paris was full whenever he delivered his sermons. He kept saying that people must settle accounts with God both from their talents and from their works of mercy. The Polish translator of his book "Le choix de Dieu" ("God's choice") once asked him which meaning of this title was right - that God chose him or that he chose God? The cardinal replied - both. There is a plaque placed for him in the cathedral Notre-Dame in Paris. Cardinal Lustiger wrote the text himself: "I was born a Jew. I carry the name of my paternal grandfather, Aron. Having become a Christian through faith and baptism, I remained a Jew, as did the apostles. My holy patrons are the high priest Aron, the holy apostle John, the holy Mary full of Grace. Appointed as the 139th Archbishop of Paris by Pope John Paul II, I was enthroned in this cathedral on February 27, 1981, and did all my priestly service here. Who goes by here may pray for me. " - Aron Jean-Marie Cardinal Lustiger, Archbishop of Paris. So far the true story. In the movie we can watch this unconventional clergyman especially since 1979, when he was appointed by Pope John Paul II as Bishop of Orléans, until his death in 2007. 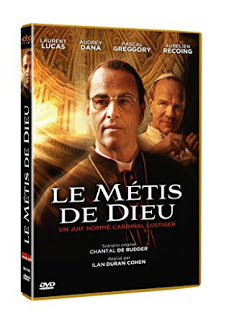 "The Jewish Cardinal" (Le métis de Dieu) was directed by Ilan Duran Cohen, a native Israeli, and the music was composed by Nathaniel Méchaly. The script was written by Chantal de Rudder, a former journalist and editor-in-chief (with Nouvel Observateur), who now works primarily as a scriptwriter. At the end we must admit something – we have not seen this movie yet. Though we will make it up as soon as possible. Particularly that we had the chance to meet this charismatic priest during his visit to Poland. And his book “The God’s choice” has its right place on our bookshelves.